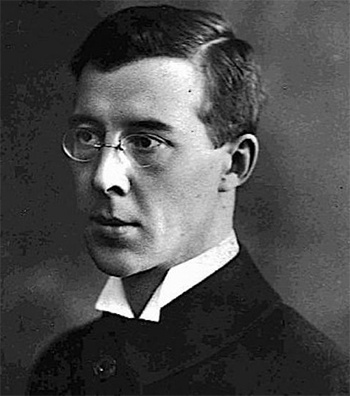 Pitirim Sorokin (1889-1968) whose birth anniversary we mark on 21 January, was concerned, especially in the period after the Second World War, with the relation between the values and attitudes of the individual and their impact on the wider society. His key study Society, Culture and Personality: Their Structure and Dynamics (1947) traced the relations between the development of the personality, the wider cultural values in which the personality was formed, and the structures of the society. Sorokin was born in a rural area in the north of Russia. Both his parents died when he was young. He had to work in handicraft trades in order to go to the University of St. Petersburg where his intelligence was noted, and he received scholarships to carry out his studies in law and in the then new academic discipline of sociology. After obtaining his doctorate, he was asked to create the first Department of Sociology at the University of St. Petersburg. However, the study of the nature of society was a dangerous undertaking, and he was imprisonned three times by the Tsarist regime. He went to the United States and taught at the University of Minnesota (1924-1930) where he carried out important empirical studies on social mobility, especially rural to urban migration. These studies were undertaken at a time when sociology was becoming increasingly recognized as a specific discipline. Sorokin was invited to teach at Harvard University where the Department of Social Ethics was transformed into the Department of Sociology with Sorokin as its head. He continued teaching sociology at Harvard until his retirement in 1955 when the Harvard Research Center in Creative Altruism was created so that he could continue his research and writing. Of the three pillars that make up society − personality, culture, and social structure − personality may be the easiest to modify. Therefore, he turned his attention to how a loving or altruistic personality could be developed. He noted that in slightly different terms: love, compassion, sympathy, mercy, benevolence, reverence, Eros, Agape and mutual aid − all affirm supreme love as the highest moral value and its imperatives as the universal and perennial moral commandments. He stressed the fact that an ego-transcending altruistic transformation is not possible without a corresponding change in the structure of one's ego, values and norms of conduct. Such changes havre to be brought about by the individual himself, by his own effortful thinking, meditation, volition and self-analysis. He was strongly attracted to yoga which acted on the body, mind, and spirit. Sorokin believed that love or compassion must be universal if it were to provide a basis for social reconstruction. Partial love, he said, can be worse than indifference. “If unselfish love does not extend over the whole of mankind, if it is confined within one group − a given family, tribe, nation, race, religious denomination, political party, trade union, caste, social class or any part of humanity − in such an in-group altruism tends to generate an out-group antagonism. And the more intense and exclusive the in-group solidarity of its members, the more unavoidable are the clashes between the group and the rest of humanity.